Khaiwoon, officially the 'Khaiwoonese Republic' (Khaiwoonese: , Ripablikh Khaiwoonmai), is a sovereign city-state located off the southeastern tip of the Gobras Peninsula in southern Uletha. It is separated from Gobrassanya by the Strait of Santa Rosa, approximately 20 kilometers in width. The Khaiwoon-Gobrassanya Friendship Tunnel provides an underwater railway link under the strait between Khaiwoon and the mainland. With over 6 million people living in under 1,000 square kilometers, Khaiwoon is extremely urbanized and one of the most densely populated nations in the world. Over many years Khaiwoon has expanded its area through extensive land reclamation. Originally a large number of separate islands, today over 90% of Khaiwoon's land area is linked together by causeways and other reclamation projects. For centuries the islands constituted the Principality of Khaiwoon, ruled by a dynasty of hereditary princes. 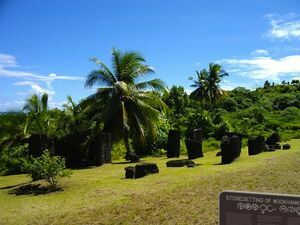 Successive rulers helped build up a vast merchant fleet which dominated trade with the coastal villages of the Gobras Peninsula and opened up trading routes to island groups such as Akinyaka and Lonowai. Khaiwoonese merchants sailed east and west along the southern coasts of Uletha, and eventually amassed great wealth from long distance intercontinental trade with Tarephia, Antarephia and Archanta. Unlike the Gobrasi peoples on the nearby mainland, Khaiwoon's government was able to resist a large scale influx of overseas settlers and endured only a brief colonial occupation by Ingerland. After a few decades, Khaiwoon reverted to independence and declared itself a republic. Since then, a robust policy of free trade pursued by the government has helped make Khaiwoon one of the world's busiest trading ports, as well as a major financial center and commercial hub of the world economy. Human habitation in Khaiwoon dates back many thousands of years, as evidenced by rudimentary stone tools and other artifacts discovered in various locations throughout the country. These resemble similar items found in excavations on the Gobras Peninsula, suggesting that the earliest inhabitants crossed over from the nearby mainland. The oldest surviving constructions in Khaiwoon include the Stonesetting on Mookhaiwooëny Island, dating from the second millennium BCE and the Benevolence Road Burial Mound in Central, from roughly the same time period. Small fishing and farming villages existed in various locations, led by local chieftains, who according to traditional lore were often in conflict with one another. Legend tells of Nookharu, a young chief of the Paijagwa village, who forged an alliance with four neighboring chiefs to fend off recurring attacks by raiding parties from the island of Khaimjin. Nookharu and the other chiefs united their warriors and massacred the Khaimjin raiders, then rowed to Khaimjin and took possession of the villages there. At the victory feast, the four chiefs who had admired Nookharu's skill and bravery each offered their eldest daughter to be his bride. Nookharu agreed to wed all four, so as to unify the five chiefdoms for all time. Nookharu's eldest son, Luphuran, through a series of marriages and conquests, is said to have expanded the domain to encompass the entirety of the main island and titled himself the first Prince of Khaiwoon. The line between myth and history is unclear, but the date for Luphuran's founding of the Principality is traditionally fixed at 360 CE. Luphuran's first wife Bekhtubatna is credited with founding the Khaiwoonese sport of fishfighting and inventing the unique "snake-script" alphabet used to write the Khaiwoonese language. Luphuran's successors soon brought Batjun and the other outlying islands under their control, and began to consolidate the power of the Principality by building up a vast trading fleet, using the talent of Khaiwoon's skilled shipbuilders to construct vessels unmatched in speed and quality. The traditional shipbuilding techniques, which made Khaiwoonese ships among the fastest, most maneuverable, and most reliable of the time, were classified as official state secrets, and the Princes banned Khaiwoonese-made ships from being sold to anyone but the Master of the Royal Fleet. Khaiwoonese mariners were also prohibited from sharing any valuable seafaring secrets, or even joining the crew of a foreign vessel. With a virtual monopoly on local trade with the coastal Gobrasi villages, Khaiwoonese ships began to venture further afield, developing long distance trading routes along the coasts of southern Uletha and to nearby island groups. 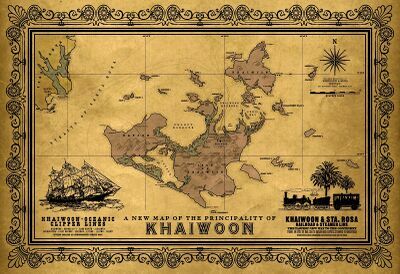 Navigators on all Khaiwoonese expeditions reported directly to the Palace immediately upon their return, where the Office of the Grand Cartographer would use their data to develop some of the most accurate nautical charts of the era. These were also highly guarded and never shown to foreigners. Khaiwoon's strategic location at the end of the Gobras Peninsula made it a natural hub for east-west trade, and the mastering of those routes gave the Princes large quantities of wealth. 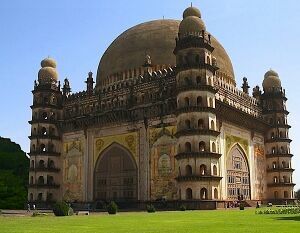 Inspired by the descriptions of the grandiose foreign capitals their ships visited, they undertook immense construction projects at home, commissioning fortresses, palaces, gardens, temples and other monuments to help Khaiwoon join the ranks of the world's great cities. 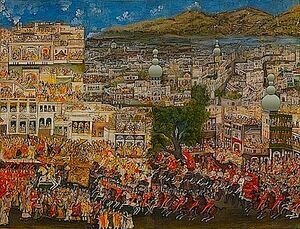 It was this period that saw the construction of the Princely Palace (completed 1403), the Old Temple (completed 1451), the Grand Fortress (1606), the Water Gardens (1645), the Taiwala Tomb (1713), as well as a rebuilt Princely Palace (1766) and Royal Temple (1789). 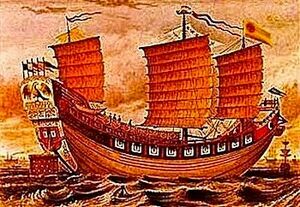 At the same time as Khaiwoonese ships were expanding their reach to larger numbers of foreign ports, merchants and sailors from all over the globe also began to arrive in Khaiwoon. Many of them married Khaiwoonese women and decided to stay, forming vibrant expatriate communities that transformed the Principality into one of the world's first truly cosmopolitan centers. In addition to the Gobrasi and other local peoples, Norlethans such as the Ingerish, Florescentan, and Kalmish established themselves in the city as well. In many ways, the Khaiwoonese embraced the new and the different ideas from distant lands, incorporating various elements of foreign food and drink, music and dance, art and architecture, customs and culture. 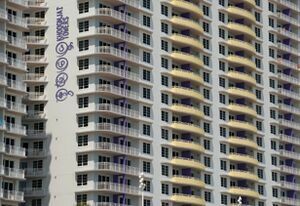 However, the Principality barred foreigners from owning more than a fixed amount of property or accumulating more than a certain amount of wealth. This policy (and the strength to enforce it) prevented the kind of unregulated influx of outsiders that overwhelmed the native Gobrasi peoples of the Gobras Peninsula, which was eventually overrun with foreign settlements. Attracted by the mainland's fertile soil and mineral riches, and emboldened by the lack of any centralized native government, colonial ports were established in numerous locations on the peninsula, annexed and controlled by foreign powers. One of the first of the colonial ports was founded at Santa Rosa, directly across the strait from Khaiwoon. 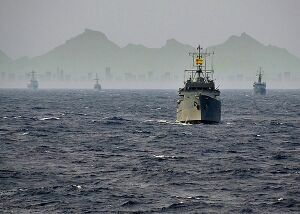 Increasingly, powerful colonial navies began to make their presence felt in the region. While overseas settlers carved up the Gobrasi chiefdoms, the Princes of Khaiwoon decided to use increasing amounts of their wealth to start shoring up their defenses. In the 1770's Prince Nonagbag constructed the Straits Fort, a sophisticated military outpost strategically overlooking the Strait of Santa Rosa. In 1819 work was finished on a fort at Boornai in Batjun, and 1834 saw the completion of Fort Chapelizod at Ootarian Point. In 1848 Prince Mukhoowo founded the University of Khaiwoon, dedicated to acquiring foreign knowledge and technology for the benefit of the nation. Among other departments, it included a School of Engineering, a Military Studies Program, and an Institute of Naval Strategy. During the mid 19th century Mukhoowo also established Khaiwoon's first official naval bases and built up a large Norlethan-style Royal Navy. Mukhoowo's son Prince Mukhooë came to the throne in 1859 and modernized the Royal Army, bringing in dozens of retired officers from overseas to train a brand new Khaiwoonese officer corps at the University. 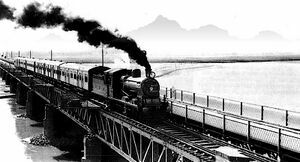 Mukhooë also embraced an aggressive program of industrialization and infrastructure, completing a rail bridge across the marshes to Batjun in 1865 and another to Sandy Point in 1873. In 1882 a series of trestles totaling nearly 13 kilometers (8 miles) across the shallow tidal sands of Peril Bay completed a rail line to Wiban Island and Khaimjin. Mukhooë believed that these fixed links were vital to maintain the unity of Khaiwoon and prevent the outer islands from falling under foreign control. 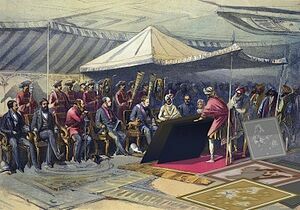 In February of 1890, a Florescentan delegation presented Prince Mukhooë with a list of demands issued by their government, chief among them being a permanent naval base in Khaiwoon and the installation of an Ambassador-General with absolute veto power over all of the Prince's decisions. Knowing that Khaiwoon's defenses would stand no chance against the superior Florescentan force, Mukhooë stalled for time while he tried to hammer out a protection deal with another colonial power. Over a period of several weeks, pretending to negotiate with the Florescentans, he secretly invited the Ingerish government to occupy the prized Straits Fort in exchange for defending the independence of the rest of Khaiwoon. This offer was accepted, and a large Ingerish fleet arrived on March 24. Only half the fleet, however, moored at Straits Fort. The other half, in violation of the agreement, docked in Khaiwoon Harbour and soon the streets of the city were swarming with thousands of armed Ingerish troops, ostensibly to provide "stability" during the Straits Fort handover but effectively establishing control over the capital. When angry citizens gathered in Court House Square to protest, the Ingerish ambassador, Lord Crockwin, asked Mukhooë to declare martial law and order the crowd to disperse. When Mukhooë refused, Crockwin sent in his own troops, and declared the Protectorate of Khaiwoon on March 29, seizing control of the whole country for Ingerland. Crockwin was later recalled to Ingerland amid controversy over the takeover, but the Ingerish retained control of the colonial administration, headed by a governor, to oversee the Protectorate. Until his death in 1919, Mukhooë remained in the palace as a figurehead and worked in cooperation with the Protectorate government, which oversaw a period of even greater industrialization and urban growth. The colonial administrators embarked on a long list of developments to promote rapid economic expansion. 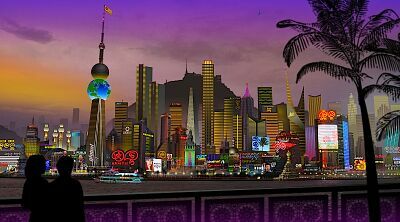 Khaiwoon's population swelled and its cities grew to accommodate. During the early 20th century, many farms and forests were divided up into city blocks, and several of the existing rail lines were reconfigured to form the beginnings of the Metro system. Land reclamation was also a major objective for the Protectorate, which carried out a series of large scale projects including wetland drainage, port modernization and causeway construction. Flat expanses of dry land replaced the trestles to the outlying areas of Batjun, Sandy Point, Wiban and Khaimjin, linking together over 99% of Khaiwoon's population. The Protectorate undertook a controversial program of "Westernization," establishing Ingerish as the sole official language and banning certain Khaiwoonese customs such as polygamy and fishfighting. Self-determination for the Khaiwoonese people was not a priority; they were legally defined as second-class citizens, subservient to the Ingerish elite. 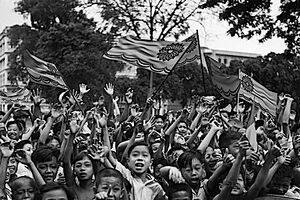 As much of the world began to move toward democracy, pro-independence groups such as the Independence League emerged in Khaiwoon, demanding home rule, an elected government, freedom of assembly and freedom of speech. While the colonial bureaucracy had a relaxed approach to free markets, it did not hesitate to arrest and imprison anyone causing political unrest. Most notable was the 1927 case of Khimwa Bibaisoo, a young student who was killed when colonial police attacked an independence rally. In 1932, Mukhooë's grandson, Prince Linkhai, protested the lack of democratic reforms during a formal meeting with the governor, who responded by stripping him of his figurehead title and confining him to the Albatross Island Prison. Linkhai's imprisonment backfired, galvanizing the ordinary population into supporting the rebel leaders and participating in crippling general strikes that caused Khaiwoon's bustling business and trade to grind to a halt. After two years of painful strikes repeatedly bringing the Protectorate to its knees, Khaiwoon was granted independence on September 1, 1934. Prince Linkhai was released, and colonial administrators were transferred to the Straits Fort, over which they retained colonial sovereignty by special lease until 1970. After 44 years of occupation, many Khaiwoonese wished to see the Principality restored, but Linkhai himself was a major proponent of republicanism, believing that a meritocracy would be better than any hereditary ruler, even a constitutional monarch. A constitution was drafted by the provisional government, elections were held, and the Khaiwoonese Republic officially came into existence on December 31, 1934 with the inauguration of the first President and Prime Minister. Linkhai won a seat in the Legislative Assembly and served as the nation's first Minister for Education. The first Prime Minister was Edwin Raibolakha and the first President was Ranoor Goomjee. Racial equality was made the law of the land, and the previous "Westernization" program was replaced with a "Globalization" program, affirming respect for all cultures and languages. The former colonials living in Khaiwoon were encouraged to remain, and Ingerish along with Khaiwoonese were named the country's two official languages. Today both languages are taught in every school and 88% of Khaiwoonese citizens are fully bilingual. After independence Khaiwoon continued to experience rapid growth in population. The government broke ground on expansive new neighborhoods, laid out the national motorway network, and filled in the large tidal flats and marshes at the northeast corner of the main island to create Hammersmith Field, later known as Khaiwoon International Airport. Development of the port facilities continued to keep up with increasing demand, and the mass transit system, the Khaiwoon Metro, grew to become one of the world's largest. An industrial area in western Pertenooë was transformed into the fairgrounds of Expo '79, the world's fair, which Khaiwoon hosted from November of 1978 to March of 1979. FunLand Khaiwoon, one of the world's most popular theme parks, opened in October of 1986. On May 5, 2005, after seven years of construction, work was finally completed on the Khaiwoon-Gobrassanya Friendship Tunnel, allowing for high speed rail service to run direct from Khaiwoon to cities in Gobrassanya and beyond. 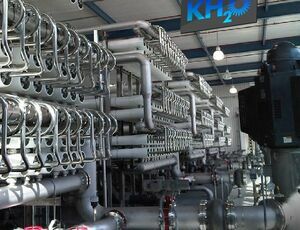 The water agency KH2O began operation of one of the world's largest desalination plants at Water Island in 2008, ending the country's fifty-year reliance on Gobrassanya to supplement the island's fresh water resources. During the Protectorate period, the government built Administration Hall, just east of the Water Gardens, to house the growing colonial bureaucracy. Upon independence the new Legislative Assembly occupied the building, which became known as Parliament. However, as there was inadequate room to expand public offices into the adjacent blocks, the national government subsequently relocated to the former Governor's residence (Government House) at the foot of City Hill, and the Old Parliament became Khaiwoon City Hall (and later, headquarters of the Central Local Municipal Authority). Today the expanded Government House building is home to the Presidential offices, and shares a square with the Legislative Assembly building and the Ministerial Tower, a recently completed skyscraper which houses the offices of the Prime Minister and other key officials. Executive power is vested in the Prime Minister of Khaiwoon, who is traditionally the leader of the largest party in the Legislative Assembly. Elections for the Assembly must occur at least every three years, but can be held sooner if the Prime Minister or the President directs, or if the Prime Minister receives a vote of no confidence from the Assembly. After an election, the President declares the leader of the largest party in the Assembly to be the Prime Minister-designate and issues a formal invitation to form a government. The Prime Minister-designate then selects a Cabinet of ministers-designate, some of whom are members of the Assembly and some of whom are not, and presents the Cabinet to the Assembly. If the Assembly votes to accept the Prime Minister-designate and ministers-designate, they are then sworn into office by the President. The current Prime Minister of Khaiwoon is Munbap Y. W. Pertynoo, a former economics professor who represents Astoria-Orange Valley in the Legislative Assembly. The President, typically a respected elder statesman or cherished public figure, serves for an unlimited number of five-year terms, and is selected by unanimous vote of the Assembly. Although the President has the ability to call elections and a number of other powers, these are seldom used. For the most part, the duties are ceremonial, receiving foreign dignitaries at the Presidential Residence (some three kilometers east of Government House), issuing awards and honours, and representing the nation at various functions in Khaiwoon and abroad. The current President of Khaiwoon is Hon. Bukhwa Naikhet, an award-winning author of several children's books. The national legislature of Khaiwoon is the unicameral Legislative Assembly (informally known as the "Assembly" or "Parliament") which consists of 159 members elected under first-past-the-post rules from single-member constituencies covering the entire territory of Khaiwoon. To vote or run for office, persons must be citizens of Khaiwoon at least 20 years of age and with no criminal record. Elections for the Assembly must be held at least every three years, though they can occur more often at the direction of the Prime Minister or President, or if the Prime Minister receives a vote of no confidence from the Assembly. Members of the Assembly are referred to as MLAs (Members of the Legislative Assembly) and meet for debate at the Legislative Assembly building next door to Government House. The Speaker of the Assembly is a nonpartisan position appointed by the President. The judiciary of Khaiwoon is hierarchical in structure, with minor courts located throughout the country, appeals courts above them, and finally the High Court of Khaiwoon (also called the "Supreme Court") located next to the National Library in a parklike setting about half a kilometer southwest of Government House. The High Court consists of five justices, promoted from the lower courts, nominated by the Prime Minister and confirmed by the Assembly for nine-year terms. For the past half century Khaiwoonese politics has been dominated by two parties, the Independence League (popularly known as "the League") and the Party of Democracy (KPD). The League espouses a centrist, business-oriented platform, while the KPD supports a more left-leaning, social democratic stance. The League was formed under the Protectorate as the main vehicle for Khaiwoonese independence, and won the first several elections handily. Lack of unity on the left kept the League in power for over 30 years in a state of de facto one-party rule, until 1966 when a number of left wing parties merged to form the KPD. KPD won the 1966 general election and power has shifted back and forth between the two parties since. Minor parties such as the Khaiwoon Green Party and the Communist People's Party run candidates for office in multiple constituencies, but are not represented in the Legislative Assembly. The current government and Prime Minister are members of the League, with the KPD sitting in opposition. Since independence Khaiwoon's primary focus in foreign relations has been to promote economic growth, pursuing trade agreements both bilaterally with nations around the world, as well as multilaterally through regional free trade zones and increased economic cooperation. Khaiwoon has also been a major supporter of worldwide economic development institutions, as well as local economic organizations such as the Southern Uletha Economic Cooperation Council (SUECC). The city-state was a founding member of the Assembly of Nations, and Khaiwoonese diplomat W. Khemwet Mupbag served as the AN's seventh Deputy Chief Secretary. For many years after Khaiwoon's independence, relations with Ingerland remained strained, partly as a legacy of the colonial occupation and also because of Ingerland's protracted sovereignty over the Straits Fort, which it continued to occupy by special lease until 1970. Following the withdrawal of Ingerish forces and the handover of the territory, relations improved significantly. Ingerish officials were warmly welcomed in Khaiwoon when they attended the opening ceremonies for Expo '79 and today the two countries support a large number of mutual exchange programs. Khaiwoon became sibling cities with the Ingerish capital Winburgh in 1998. Relations with Gobrassanya have also been mixed, with a low point being Gobrassanya's refusal to allow fresh water to flow through the undersea pipeline into Khaiwoon during several periods of drought, due to bitter disputes over the rate of compensation. A major achievement in Gobra-Khaiwoonese relations was the opening of the Friendship Tunnel undersea railway in 2005, providing a direct high speed rail connection from Khaiwoon to mainland cities in Gobrassanya and beyond. The completion was commemorated with the Pillars of Friendship sculpture near the ferry terminal in Batjun and the Brotherhood Monument on the Gobrassian side near Louburquian. In 2015 Khaiwoon joined Gobrassanya and Alora in creating the Gobras Peninsula Free Trade Agreement (GPFTA). A large number of nations maintain embassies in Khaiwoon, most of them located east of City Hill near Ambassadors Boulevard in the Diplomatic Quarter, and for several years Gobrassanya operated an additional consulate near the continental ferry landing in Batjun. The Khaiwoon International Center promotes international understanding on a person-to-person level and Khaiwoon is also host of the Sibling Cities of the World organization, furthering educational, professional and intergovernmental exchange on a global scale. Dedicated to preserving security in and around Khaiwoon, the Khaiwoonese Armed Forces are small but perhaps one of the most advanced in the region. Khaiwoon's original Royal Army and Navy were abolished with the establishment of the Protectorate in 1890, and so new forces had to be established after independence. These included the Khaiwoonese Army (1935), Khaiwoonese Navy (1936), Khaiwoonese Air Force (1958) and Khaiwoonese Coast Guard (1969). Bases are located at Straits Fort, Camp Pawillet, Sandy Point, Sharp Cape, Verdaguer Training Camp and Joint Base, and the Khaiwoonese Air Force Facility at Batjun Airfield. A 1949 conscription law required that all male citizens perform six months national service at age 18; however this was repealed in 1972. Military headquarters are centrally located across the street from Government House. Nearby is the headquarters of the Oceanic Treaty Organization (OTO), the mutual security pact of which Khaiwoon was a founding member. Crime rates in Khaiwoon are relatively low by international standards, partly due to the low levels of poverty and unemployment, and partly due to the fact that private ownership of most weapons is strictly forbidden. Law enforcement services in Khaiwoon are provided by the Khaiwoon Police, the first modern style force established by Prince Mukhooë in 1870. Police stations are located throughout the city-state, with service headquarters in the Government House district. Special police facilities include the Office of Criminal Investigations in Ralaphan, the Police Academy in Salsa, and the Central Prison located on Albatross Island off the southern coast. 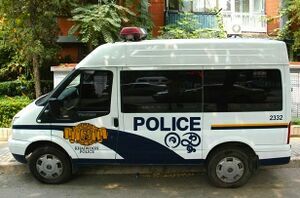 During the Independence League's era of one-party rule, the police were widely accused of being used for political purposes, breaking up left-wing protests, harassing members of the opposition, arresting troublemakers on minor technicalities to give them a criminal record, thus making them ineligible to vote or run for office. These allegations were investigated by the KPD upon their rise to power in 1966, and over 80 individuals, police administrators as well as League politicians, were convicted on charges of abusing positions of authority. Separated from mainland Uletha by the Strait of Santa Rosa, Khaiwoon is comprised of dozens of islands surrounding one larger island, itself made up of several former islands which have been connected by causeways and other reclamation projects over the years. Originally three main islands, Batjun in the west, Khaimjin in the north, and Khaiwoon Island between them, the archipelago initially consisted mostly of forested hills covered in dense subtropical vegetation, separated by marshes, mudflats and shallow channels. Humans first altered the landscape by creating river channels and draining the inland marshes for farming. Later, beginning in the industrial era, an extensive series of reclamation projects added nearly 100 km2 of dry land to the country and connected all the large islands together. Today the total land area of Khaiwoon is 912 km2 (352 square miles). The topography of Khaiwoon is an extension of the mountain ranges that run from northwest to southeast on the adjacent part of Uletha, from western Alora through the entire length of Gobrassanya. 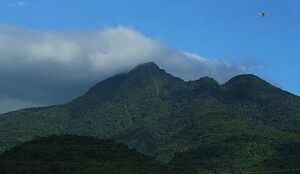 In Khaiwoon, the most significant hills exist on Batjun and Khaiwoon Island, with the highest point being Khaiwoon Hill at 1,024 meters (3,360 feet), followed closely by Pertenooë Hill (812 meters) and Batjun Hill (761 meters). Other notable peaks include City Hill (391 meters) and Flagpole Hill (377 meters) in the central city, Lions Hill (598 meters) and Oktogon Hill (368 meters) farther south, and Bare Rock (284 meters) on Batjun Island. Khaimjin Island is notable for the cliffs and outcroppings along its eastern edge and the dramatic string of mountainous islands and seastacks that extend off Putter's End in the extreme northeast. Other parts of Khaiwoon's coastline include rocky shores and extensive mudflats, mangroves and other wetlands, as well as broad sandy beaches, particularly along the southwest coast of Batjun and Salsa where a large number of resorts are located. Most of the mountainous parts of Khaiwoon are protected by parklands, as are several remaining areas of marshland and estuary. The largest protected areas are the mountains around Khaiwoon Hill, the wetlands and beaches of the End Point peninsula, and the central part of Batjun Island surrounding Batjun Hill and Bare Rock. The large shallow lagoon between Batjun and Khaiwoon Island is also a protected area, reserved mainly for recreational boating and other water sports. A wide variety of plants, mammals, birds, reptiles, amphibians, insects and marine life exists in Khaiwoon's subtropical ecosystems. Separated from Gobrassanya by only 20 kilometers, most flora and fauna are the same as those on the mainland, although a few species, such as the flameblossom orchid and the blue-shell hermit crab, are endemic to the islands. The flameblossom was thought to be extinct in the mid 20th century until it was rediscovered growing in a secluded grove on Batjun Hill in 1994. 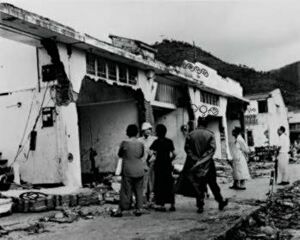 Although Khaiwoon is not volcanic in origin, the region does experience occasional earthquakes and the southern shorelines have seen six recorded tsunami events since 1769, with the most recent occurring in 1963, when a seemingly minor local earthquake triggered a sudden 4-meter surge of seawater, resulting in heavy damage and five deaths along the Oktogon Strand Road. Seawalls were constructed in the 1970s in select low-lying areas of Oktogon Hill and Ralaphan to prevent a repeat of the tragedy. 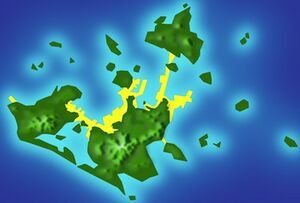 Since that time, however, there have been no significant tsunami events in the area. Khaiwoon experiences a humid subtropical climate (Köppen classification Cwa) with generally mild and pleasant weather from October to April, followed by a hot, humid summer with frequent thundershowers bringing heavy rainfall from May through September. 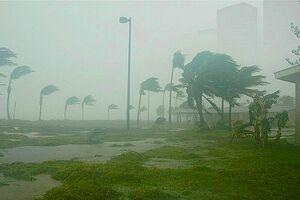 Summer also brings severe cyclonic storms which originate in the warm ocean waters to the southeast and move northwest toward continental Uletha, often brushing past Khaiwoon but occasionally hitting it directly. These storms cause intense rainfall which triggers mudslides in the mountainous areas and flash flooding along streams and rivers. Storm surge is also an issue in some low-elevation coastal zones, where high waves can force closure of coastal roads and cause significant property damage. Wind damage can also be serious, although modern building codes mandating wind-resistant construction have reduced such losses in recent decades. The summer rains are typically reliable, but occasionally the weather patterns shift and precipitation for the wet season can end up being much lower than average. After three drought years occurred in the early 1950s, Khaiwoon negotiated with Gobrassanya the construction of an underwater pipeline across the Strait of Santa Rosa to import fresh water from the Marapura River, a project which was completed in 1960 and remained in use (except for a few notable disputes) until the completion of KH2O's Water Island Desalination Project in 2008. An advanced, highly diversified market economy, major financial center and worldwide trading hub, Khaiwoon enjoys a per capita GDP of nearly $60,000, one of the highest in the world. The city-state is home to a large number of multinational corporate headquarters, global trading markets, banks and other financial services providers. The government's aggressive pursuit of economic growth and longstanding pro-trade stance, reflected in numerous market access and free trade agreements with a large number of countries, has helped Khaiwoon emerge as one of the primary nodes in the global economy. The strength and resilience of the city-state's economic engine have kept unemployment and poverty rates relatively low, and helped the Human Development Index (HDI) rise to 0.87, one of the highest in the world. In addition to its importance as a trading hub, Khaiwoon has also long been a center for more advanced manufacturing. Automaker KMW and electronics giants KhaiTel and Bipjarat are some of the largest Khaiwoon-based manufacturers and operate large production plants in the country, although many Khaiwoonese manufacturers have increasingly opened new facilities in Gobrassanya and other countries offering lower labor cost, while keeping their headquarters located in Khaiwoon. Other major manufacturers operating in Khaiwoon include Grygg, Tagoflex, Circular, KSM-Khaiwoon Special Machines, Molecular, Serris Electronics and Catpaw Semiconductors. Services are also a major component of the Khaiwoonese economy, especially financial services, including banking, accountancy, insurance, stock brokerages, investment funds and consumer finance companies. 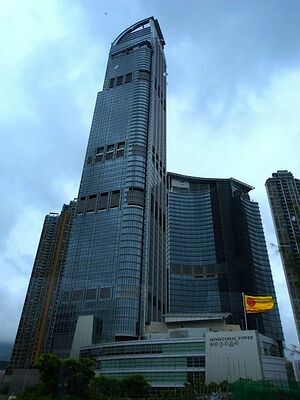 Many of these firms are headquartered in the financial district near the Khaiwoon Stock Exchange, National Treasury, Bank of Khaiwoon and other financial institutions. Another major service area is tourism and travel related services. Khaiwoon experiences approximately 18 million foreign visitor arrivals annually, including 3 million from Gobrassanya alone. 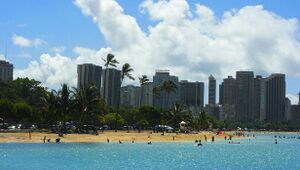 Major tourism activities include sightseeing in the historic districts of central Khaiwoon; shopping in the old markets and new shopping malls; gambling, entertainment and nightlife along the Casino Mile; attending recreational attractions such theme parks, water parks, and golf courses; as well as relaxing at resort destinations such as luxury beach hotels. Cruise ships also call at Khaiwoon, docking at a major new cruise ship terminal completed in 2003. On average Khaiwoon plays host to around 200,000 overseas visitors on any given day, approximately 3% of the resident population, though this number expands significantly during peak travel periods and contracts during other times of the year. Other major service areas include educational services, medical services and more. Agriculture, forestry, fisheries and mining make up only a small part of Khaiwoon's economy. The largest of these is fishing, with several hundred fishing vessels based in the port, and a number of seafood processing plants and a major fish market nearby. A few hundred farms and ranches still operate on Batjun, Khaimjin and other outlying islands, but the small size of the country and the relative scarcity of natural resources prevent any of these sectors from experiencing large scale growth. FarmPreserve, a government program, was established in 1995 to help support keeping local farms open and supplying fresh Khaiwoon-grown fruits and vegetables to Khaiwoon's supermarkets, but the majority of food is imported from other countries, particularly Gobrassanya. For many years Khaiwoon's low tax rates led many to label the city-state as a tax haven, and attracted significant numbers of high-wealth individuals to relocate from other parts of the world in order to take advantage of the tax structure. However a series of tax and financial reforms instituted by KPD governments in the 1990s have introduced more a progressive tax system and eliminated many financial loopholes used by wealthy individuals to shield their assets from taxation. Another package of KPD reforms also helped institute a more comprehensive social safety net, providing universal health and disability insurance, as well as a major expansion of the public retirement savings system. 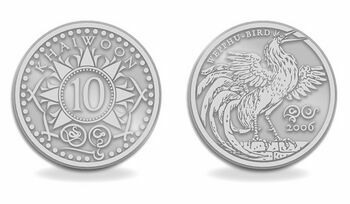 The currency of Khaiwoon is the Khaiwoonese pound (K£ or £) (ISO currency code: KHP). The pound can be divided into 100 pennies, although 1- and 2-penny coins have been withdrawn from circulation and all prices must end in a multiple of 5 pennies. Such prices may be written with (3.50 K£) or without (3.5 K£) the final zero digit. The government is currently considering phasing out hard currency altogether and switching to a fully digital cash card system by 2025. While Khaiwoon had high birth rates until the mid 20th century, fertility rates have dropped significantly in recent decades, primarily due to women pursuing careers and couples using birth control to have smaller families. Most of Khaiwoon's population increase today is caused by immigration, with overseas workers coming to the city-state to fill job openings and foreign students arriving for study. Immigrants come to Khaiwoon from all over the world, with the largest share being from Gobrassanya. The Office of Statistics estimates that in 2014, approximately 1.1 million of the population (17.5%) were permanent residents, with the other 82.5% being citizens of Khaiwoon (76.9% native-born citizens and 5.6% naturalized citizens). In addition (not included in the population totals) the Office estimates that there are approximately 200,000 temporary foreign visitors in Khaiwoon at any given time, and an unknown number of undocumented immigrants (perhaps 5,000-10,000). According to the 2011 census, the largest ethnic group in Khaiwoon are those who identify as ethnic Khaiwoonese, at 67.3% of the population, virtually all of whom are citizens. Of the other broad ancestry-based groups, about half are citizens and half are permanent residents. These groups include those of Norlethan ancestry, e.g. Ingerish-Khaiwoonese and Norlethan-Gobrassians (15.6%); those of Gobrasi ethnicity, e.g. Maranese/Gorrawa, Pohalanese (11.4%); those of other ethnicities (2.9%); and those of mixed ancestry (2.8%). These numbers are based on self-reported data, however, and the Office of Statistics cautions that the data do not necessarily reflect the actual ancestral makeup of the persons reporting. For example "Khaiwoonese" is very much a "mixed ancestry" itself, the result of centuries of intermixing of peoples from across southern Uletha. As defined by the Khaiwoonese constitution, the official languages of Khaiwoon are Ingerish and Khaiwoonese. 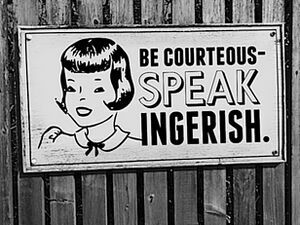 According to the Office of Statistics 2012 Language Use Study, approximately 95% of the population was "comfortably fluent" in Ingerish, 75% "comfortably fluent" in Khaiwoonese, with approximately 73% demonstrating such fluency in both and 3% lacking fluency in either official language. Both languages are taught in every Khaiwoon school from an early age and bilingualism among citizens is around 88%. Among immigrant communities, however, many persons have never studied Khaiwoonese; although they may have picked up some degree of proficiency in the language, they do not meet the "comfortable fluency" standard set by the Office of Statistics. 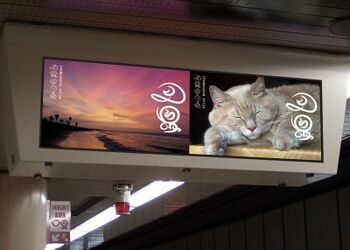 Many signs, advertisements, announcements in the city-state are bilingual, though single-language communications are not unusual either. The estimated population density of Khaiwoon in 2014 was 6,900.1 people per square kilometer (17,877.6 per square mile), one of the highest population densities in the world. The population is further concentrated in the Central LMA, where over 1.4 million people live in 34.4 km2, for a density of 41,184 people per km2. Other high density LMAs include Oktogon Hill (18,508 people per km2), Lions Hill (17,758 people per km2) and Khoogmjai (16,720 people per km2). In contrast there are also large areas of Khaiwoon which are much more sparsely populated, notably the LMAs of Rockburn Island (145 people per km2) which is broadly representative of other small outlying islands, Khaimjin North (295 people per km2), and Rural Batjun (617 people per km2). 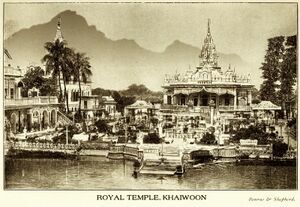 Religion once played a major role in Khaiwoonese society, with the construction of great temples and the arrival of various faiths brought to the country by immigrants from all over the world. However religious practice declined sharply in the mid 20th century and today fewer than 15% of the population claims a religious faith. A number of factors have been cited to explain the shift, ranging from the impact of accelerating modernization to the influence of the public schools history curriculum which, as part of the 'Globalization' program, required all students to learn about the history and tenets of all major world religions from an early age. 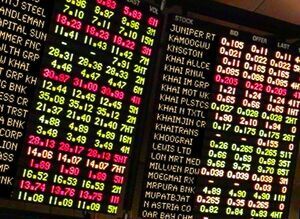 Former President Goomjee once famously quipped that "our greatest religious temple is the Khaiwoon Stock Exchange." Since 1935, Khaiwoonese law has mandated free and compulsory education for all children ages 5 to 15, and through its education ministry has administered a large network of public primary and secondary schools throughout the city-state, with students consistently scoring highly on international educational assessments of mathematics, science and language skills. 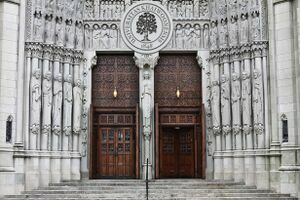 Private and religion-affiliated schools also exist, at both the primary and secondary levels, though they account for only a small fraction of the students taught. At the tertiary level, Khaiwoon is a major international magnet for education, with over 140,000 undergraduate and graduate students enrolled at over a dozen accredited tertiary educational institutions, and a large number of students from foreign countries. The largest educational institutions are the University of Khaiwoon and the Khaiwoon Institute of Technology (Khai Tech). Khaiwoon is an important global center for scientific and technological research and development, the heart of which is the campus of Khai Tech, one of the world's leading institutions of scientific study. Surrounding Khai Tech are the Khaiwoon Academy of Science, the Khaiwoon Science Museum and Cybercity Khaiwoon, a hub for internet technology innovation. A large number of tech companies, from small startups to household names, are located in the area, which boasts more advanced degrees per capita than almost any other neighborhood in the world. The people of Khaiwoon enjoy a relatively high standard of health, supported by an extensive and easily accessible network of medical care services. Life expectancy is among the world's longest, currently 84.2 years for women and 78.6 years for men, and most disease rates are low. The public health insurance system, KhaiWell, ensures that most health services are available to citizens and permanent residents free of charge, and many prevention-oriented interventions (such as regular physical exams, nutrition and fitness counseling, and tests for early disease detection) even provide a small payment to the patient since they actually lower overall costs by finding diseases earlier when they are cheaper to treat, or by preventing them from occurring altogether. Khaiwoon is also a major hub for medical study, with advanced research facilities located at the University of Khaiwoon School of Medicine, the National Cancer Centre, and at the Khai Tech Medical Technologies Complex. Khaiwoon's fresh water supply is managed by KH2O, a public-private partnership made up of the Khaiwoonese government, the Hillside Water Collection Authority, the Hammersmith Water Company and the Organization for Water Quality (OWQ). KH2O maintains a number of important dams and reservoirs as well as the new Water Island Desalination Project, which opened in 2008. Until 2008 KH2O also partnered with the Gobrassian government to administer the undersea pipeline supplying Khaiwoon with water from the Marapura River; however Khaiwoon has not requested any Gobrassian water since the opening of the Water Island complex and the pipeline has been left unused. Wastewater treatment facilities are run by the Khaiwoon Wastewater Authority and exist in multiple locations around the city-state. Khaiwoon is served by an extensive network of roadways, and due to its small size and high population density it has one of the highest roadway densities in the world. Main roads include tertiary, secondary, and primary routes, high speed trunk routes as well as motorways. The heart of the motorway network is the Inner Ring Road (IRR) which encircles most of the central business district, except for the northern waterfront side. 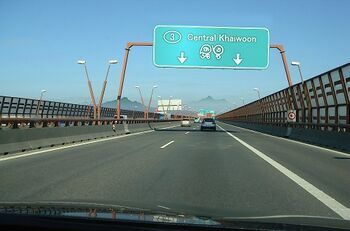 The IRR is supported by the Khaiwoon West Expressway (KWE) which extends to the west, serving Astoria, Pertenooë, Boornai, and the continental ferry terminal in Batjun; the Khaiwoon South Expressway (KSE) linking communities to the south; the Khaiwoon Airport Expressway (KAE) connecting to Khaiwoon International Airport; and the Khaiwoon East Expressway (KEE) primarily serving the Eastside LMA. Major trunk routes extend the high speed road network to the Sairoo Valley, Hammond Beach, Hibiscus Valley, Salsa, Gorypla, Jaikhoom, and across the Khaimjin Causeway to Khaimjin Island in the north. All roads in Khaiwoon are free of charge. However, due to the high costs vehicle ownership, the scarcity and expense of parking, and the often crowded road conditions, most households in Khaiwoon do not own a car and instead rely on public transportation. In addition to private passenger vehicles, the road system is also used by an extensive bus network, as well as thousands of minibuses and taxis. Buses and minibuses run fixed routes with very low fares, normally connecting Metro stations with various destinations in the surrounding neighborhoods; while taxis offer a door to door transportation option for a higher fee. Vehicle ferries connect Khaiwoon's road system with its outlying islands, as well as offering service to Gobrassanya and other countries. The bulk of mainland vehicle ferry traffic transits through the Continental Ferry Terminal in Batjun West to Louburquian, though more expensive sailings depart from Central LMA to downtown Marapura and Santa Rosa, and from Sandy Point West to Louburquian. In 2001 the Khaiwoon Marapura Vehicular Tunnel Authority was formed to pursue the possibility of constructing a vehicular tunnel between Khaiwoon and the mainland, though the proposed timeline has been pushed back several times due to issues of funding and local opposition. The Khaiwoon Metro Authority, a public agency of the Khaiwoonese government, operates the Khaiwoon Metro (commonly known as "Metro" or "the Metro"), which is the primary means of daily transportation for most people in Khaiwoon. 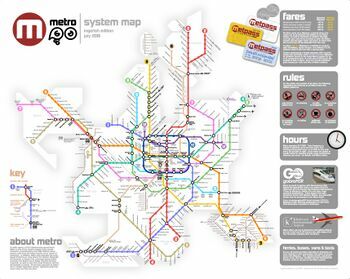 An integrated urban rail system combining twelve primary lines of heavy rail with a number of supporting light rail and streetcar lines, Metro serves over 350 stations throughout the city-state. Fares are paid through a stored-value card system known as Metpass, first introduced in 2002, which can be used to pay for virtually any transportation services in Khaiwoon, including those outside the Metro system such as buses, minibuses, taxis and ferries. Metro fares range from 0.60 K£ to 1.50 K£, with a half-fare discount card available for children, seniors and persons with disabilities. A "Travels Unlimited" Metpass is offered to foreign visitors allowing unlimited trips throughout the Metro system for a flat rate of 2.10 K£ per day. 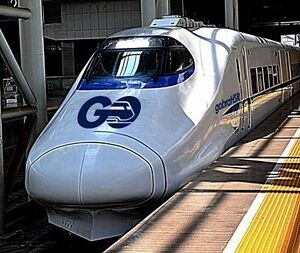 Since the 2005 completion of the Khaiwoon-Gobrassanya Friendship Tunnel, the Gobrassanya High Speed Railway ("gobraHSR") has operated long-distance, high speed rail service from Khaiwoon Central and Western Station to mainland Gobrassanya destinations including Marapura and Gobras City. A 2013 government study of travel patterns found that in the eight years since the opening of the international rail link, annual business travel between Khaiwoon and Gobrassanya had increased by 30% and recreational travel between the two countries by 44%. Khaiwoon is home to four airports, three of which are limited to general aviation only: Batjun Airfield in Batjun (also home of the Khaiwoonese Air Force), Khaimjin Island Field in the north of Khaimjin, and Ootarian Field in Salsa which handles only small planes. Khaiwoon's primary airport is Khaiwoon International (KHA) an expansive facility with four terminals and four runways, built on reclaimed land at the northeastern tip of Khaiwoon Island, an area which was formerly wetlands, mudflats and hazardous sandbars. Originally known as Hammersmith Field, planes once took off and landed on a strip of flat sand. After decades of modernizations and expansions, today Khaiwoon International is a fully state-of-the-art facility with one of the highest passenger volumes of any airport in the world, handling dozens of departures and arrivals every day, including many long-haul routes to distant parts of the globe. A large number of flights are operated by Air Khaiwoon, the country's flagship carrier, which uses Khaiwoon International as its primary hub. For centuries Khaiwoon has been a busy trading port, experiencing deep cultural influence from throughout southern Uletha and later from around the world. As a highly cosmopolitan and multicultural society it is host to a wide diversity of cultures, intermixing and cross-influencing each other in a broad array of spheres. The question of what is uniquely Khaiwoonese culture is a controversial one. 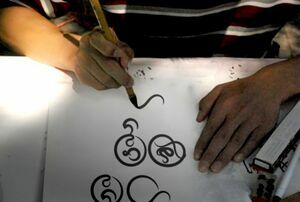 Khaiwoon is a highly literate society, and among its most iconic visual art forms is traditional Khaiwoonese calligraphy. The distinctive Khaiwoonese "snake-script" is believed to have first appeared around 500 CE, and may have descended from sacred religious scripts used in secret temple ceremonies long before then. It has changed little in its 1,500 years of existence and many ancient texts are still easily readable by most Khaiwoonese with a basic education. Calligraphy is a standard part of the national literacy curriculum and is taught from an early age in every school. Elegant handwriting is prized and calligraphic artwork is hugely popular in Khaiwoon, perhaps the most famous form of visual art, and includes a wide array of styles ranging from traditional forms and fancy embellishments to abstract shapes and dramatic scrawls. Fine calligraphy executed by a recognized master can fetch large quantities of money at auction, and the market of calligraphic artwork has attracted a large number of collectors, both Khaiwoonese and from abroad. Other visual arts also have strong traditions in Khaiwoon, including traditional painting, printmaking, mosaics, ceramics, wood sculpture and architecture. Traditional Khaiwoonese music comes in a variety of styles, ranging from the rhythmic khobsa and taptap often heard at raucous street festivals, to the refined renbebap and renbenoo performed at formal recitals. 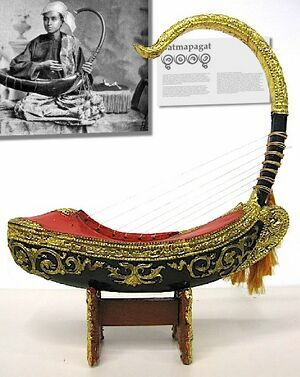 The most distinctive Khaiwoonese musical instrument is the batmapagat, a small portable harp held on the lap with several strings suspended from a long narrow neck. Batmatagats were commonly played on Khaiwoonese trading ships during their long voyages, and many vessels kept a musician on board for the sole purpose of entertaining the captain and crew. Even in present day Khaiwoon, accomplished batmapagat musicians command large audiences, performing classical works as well as modern pieces and original compositions. Modern fusion 'batmapagat remix' music, as well as 'electronic batmapagat,' are even more widely popular, occasionally even rising to the top of the popular music charts. Khaiwoon is known around the world for its colorful and distinctive clothing, not only traditional styles but also contemporary designs produced by the top designers whose presence makes the city-state a major center of the international fashion industry. Many of the modern designs are inspired by traditional styles, in some cases even blurring the boundary between what is 'traditional' and what is 'modern.' Among other textiles, Khaiwoon has long been a major producer of a fine, soft, lightweight silk which is often used in Khaiwoonese clothing and is highly prized around the world. Most Khaiwoonese people typically wear both modern and traditional clothing, depending on the situation. For example a man may wear Western suit and tie at the office, then change into a lightweight khoomoor robe to relax at home in the evening. A woman may wear casual jeans and a blouse during the day, then don traditional Khaiwoonese dress for a night out at the puppet house. Many sports are popular in Khaiwoon, including football (soccer), table tennis and golf; and the city is world famous for annual sporting events such as the Khaiwoon Grand Derby and Khaiwoon Grand Prix. 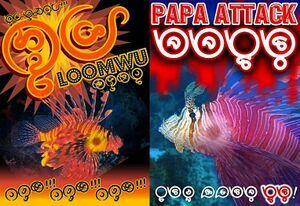 However, the most well-known uniquely Khaiwoonese sport is fishfighting, wherein two brightly colored fightingfish (Pterois khaiwoona) are placed in a tank together, causing them to attack each other with venomous stingers, fins and teeth. The fights can last anywhere from a few seconds to upwards of twenty minutes, until one fish or the other gives up and retreats into a specially built 'cave' at the bottom of the tank. Fishfighting is extremely popular and champion fish can rise to fame and become household names. Fishfighting matches are also the subject of much gambling and there will also be a great deal of alcohol consumed at a typical event. Fishfighting was famously banned under the Protectorate (for its "rude influence on the morals of the common people," according to a 1903 government report) and its relegalization was one of the first acts of the interim government on the first day after independence. Today fishfighting is controversial again, due to concerns of animal rights activists about its cruelty to the fish involved: injuries are normally minor or nonexistent but occasionally a fight can be fatal. Fightingfish breeders claim that only fish with a passion for fighting are picked for the sport; those that show no interest in fighting are released into the sea. Khaiwoonese cuisine is characterized by a riotous mix of spices and flavors, influenced by immigrants from throughout southern Uletha and around the globe. One of the most distinctive characteristics is the use of local tropical fruit in a wide variety of dishes, for example mango fish taco, papaya glazed chicken with lime, and honey stinkfruit noodles. 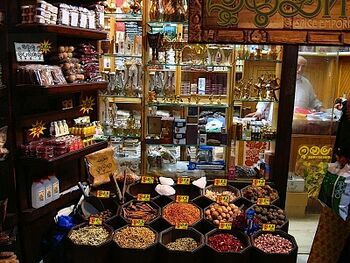 Food can be found everywhere, from quick traditional snacks at tiny street stalls to elegant dining at grand restaurants featuring the finest world cuisine. Recently a growing number of Khaiwoon 'eating tours' have emerged, catering to food enthusiasts from overseas, and a popular urban legend claims that the luggage weight allowance for outbound flights leaving Khaiwoon International was lowered by five kilograms due to the average departing visitor being five kilograms heavier. Alcohol is an important part of virtually every Khaiwoonese social function, from lunch breaks to family funerals, though it is customary in most situations to have no more than three alcoholic drinks. Unless a party or event is explicitly "four-and-more," taking a fourth alcoholic drink can be considered taboo. 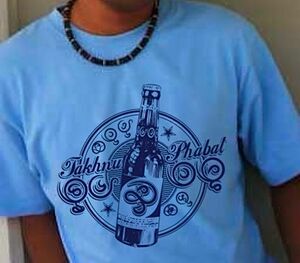 Khaiwoon's most famous beverage is Takhnu Phabat, a brand of beer infused with mango and lemon, and is popular in Khaiwoon as well as abroad. The Takhnu Phabat brewery in the Paiphangun district is a pilgrimage site for fans from around the world. Other popular drinks in Khaiwoon include rum coffee, mint rose sparklers, and sugar-rice-wine. 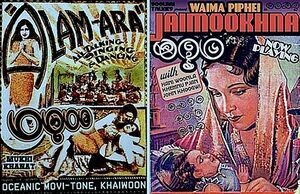 Khaiwoon has been home to a thriving film industry since 1920, when the first Khaiwoonese film hit, Princess Khoopoo, took audiences by storm. This was the first "must-see" film with Khaiwoonese language intertitles, and for many Princess Khoopoo was their first experience visiting a cinema. The film was shown around the clock and cinema owners raked in enormous profits, which many of them used to open their own studios and start producing their own movies. Most of the studios were built on the western edge of the city and most filming was done there, until the massive Khaiwocitta complex was constructed in Khaimjin, featuring elaborate sets for different film genres covering several square kilometers in total. Today Khaiwoon produces more films per capita than almost any other country, ranging from small-time independent shorts to full-length, epic worldwide blockbusters. When television was first introduced in 1961, there were only two channels, with ITCh (Ingerish Television Channel) being the channel for broadcasts in Ingerish and KiTCh (Khaiwoonese Television Channel) being the channel for Khaiwoonese language programming. Both were government operated and for their first few years heavily influenced by the League leadership. 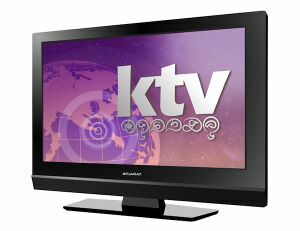 After the KPD came to power in 1966, private stations began to be established, with KTV (Khaiwoon Television) eventually growing to acquire the largest viewing audience. Today Khaiwoonese television studios, both public and private, produce a wide range of programming broadcast in Khaiwoon and sometimes abroad. Khaiwoonese soap operas and dramas are often dubbed into other languages, though the most famous Khaiwoonese program worldwide is the long running cartoon series Khinba. Since the collapse of one-party League rule in 1966, Khaiwoon has scored high on press freedom indices and is generally regarded as having extensive freedom of the press. KTV News has become one of the leading journalism networks in the world. Khaiwoon has a rich tradition of literature, ranging from ancient works such as Fortuneteller of Moon Road by the poet Lakhuphi to 19th century classics such as The Educated Songbird by Samekha Bujiphai. 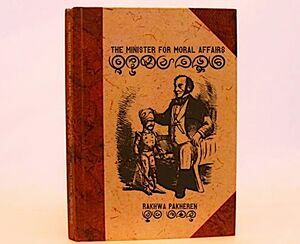 One of the most famous 20th century Khaiwoonese authors was Rakhwa Pakheren, who was imprisoned for eighteen years by the Protectorate authorities following the 1911 publication of a comedic anti-colonial novel, The Minister for Moral Affairs. The modern book publishing industry is among the world's most prolific per capita, and bookstores are typically filled with customers browsing cheap paperbacks to read on the train. Today's print media also includes a large number of newspapers, magazines, academic journals and other periodicals, primarily published in Ingerish but also a large number in Khaiwoonese. The paper with the largest circulation is the Times of Khaiwoon, published since 1841. Khaiwoonese culture places strong importance on the concept of nagphonrai, often translated as 'excellence,' but more specifically 'excellence which is the product of hard work.' In the education system, students from preschool to university are expected to perform with excellence in their studies, and workers rise based on the excellence they demonstrate at their job. Meritocracy is seen as ideal, and those who benefit from nepotism, inheritance or lucky breaks are frowned upon. People who show 'half-effort' are also looked down on and the pressure to perform pushes many to overwork. In 1993 the KPD directed the health ministry to launch a "Relax Nagphonrai" public awareness campaign, encouraging the public to demonstrate "excellence in relaxation" not just in work and study. The program has been highly successful, with fewer stress related problems and lower rates of overworking in the two decades since its inception. Traditional Khaiwoonese culture also puts great emphasis on family, which in the past were often structured in the form of polygamous marriages (both polygynous and polyandrous). Banned during the protectorate, polygamy was relegalized after independence but never returned to its former prevalence. Between 2001 and 2011, 96% of marrying couples in Khaiwoon applied for monogamous marriage status (impossible to add partners) while only 4% applied for polygamous-open status (additional partners may be wed into to the marriage later, if all parties consent). In the past, polygamous marriages often accommodated a sanctioned form of homosexuality; a gay man for example could add a "husband-for-him" while still remaining married to a wife and the trio could add a "husband-for-her" as well. Today most polygamous marriages are among the elderly, although the concept occasionally returns to younger generations in the form of a 'fad.' For example, a flurry of polygamous marriages occurred in the months following the 2005 release of All My Heart, a wildly successful film about a young polygamous family. Khaiwoonese society is often described as being relatively open and accepting of different cultures. Traditionally however, Gobrasi people, many of whom originally came to Khaiwoon to perform physical labor and other menial jobs, occupied a lower position in society and were common targets of ethnic discrimination in the past. Official public discrimination was outlawed by the first legislative session in 1935, and discrimination by employers and other private parties was banned in 1958. 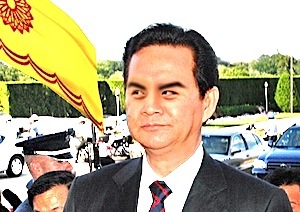 Although full citizenship for Khaiwoonese-born Gobrasi was granted upon independence from Ingerland, Gobrassanya-born Gobrasi resident in Khaiwoon did not win straightforward access to Khaiwoonese citizenship until the KPD's rise to power in 1966. The first Gobrasi-Khaiwoonese prime minister was Hanu K. Ranayan of the KPD, who came to office in 1992. Although significant progress has been made in the direction of equality, people of Gobrasi descent still have lower incomes than average as well as lower educational outcomes. In 2014 the Pertynoo government launched the Khaiwoon Equality Initiative, a set of targeted public programs with the goal of full educational and economic parity for Gobrasi-Khaiwoonese within twenty years. ↑ "Khaiwoon: Links to the Past, Links for the Future". Engineering International. 2003. Retrieved 1 May 2011. ↑ / Khaiwoon. (2008). Khaiwoon Informational Press (Khaiwoon). ↑ "Khaiwoon's Earliest Artifacts Uncovered, Say Archaeologists". The Times of Khaiwoon. 17 January 2009. Retrieved 31 July 2012. ↑ Khoogje, Joanne. "A New Journey into the Deep Past". (15 June 2011). The Times of Khaiwoon. Retrieved 2 July 2011. ↑ Mauvege, Hector R.; Mupuwai, Linda R.A. (2004). A New Look at the Myths and Legends of Early Khaiwoon. Khaiwoon: Historilight Press. ISBN 978-581-5G10-564-2. ↑ Templin, Michael Raloon. 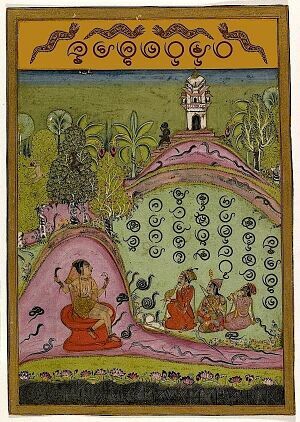 "Legends of Nookharu: Fact or Fiction?". Bunmaipap Heritage Press of Khaiwoon. Retrieved 22 April 2010. ↑ Marapoë, Steven. (2005). Khunwai - Era of the Foundation. Khaiwoon: Wenemeeë Publishing. ↑ Banamap, Keprasar WN. "Bekhtubatna: a force to be reckoned with". Journal of Khaiwoonese History, University of Khaiwoon Press. 1999. ↑ "Khaiwoon". Tarott, Kalm: World History Project. n.d. Retrieved 5 July 2013. ↑ Morales, Juana T. L. and Martín N. Casatta. "World Maritime History: Volume 5." Gaviota Press, Porto Colon, Latina. Retrieved 2 November 2011. ↑ Yonuroona, Barbara Yoobma. (2011). A History of Khaiwoonese Mapmaking. Khaiwoon: University of Khaiwoon Press. ↑ Smith-Hewlee, Nora E. (1994). Traders of Old Khaiwoon. Khaiwoon: Wenemeeë Publishing. ↑ "Timeline: Khaiwoon". Khaiwoonese History Online Project, Khaiwoon New College. 2011. Retrieved 12 October 2011. ↑ Khapphag, Melania. (2010). Uroomap bap Khaiwoon Melti: The Beginnings of Multicultural Khaiwoon. Khaiwoon: University of Khaiwoon Press. ↑ Lamps, Jasmine (13 November 2009). "Khaiwoon Looks Back at Its History". Khaiwoon Information Service. Retrieved 5 July 2013. ↑ Munroot, Craig W. R. (2006). Colonial Economic Development of Southern Uletha. Khaiwoon School of Economics Press. p. 101. ISBN 478-0-421-464V69-5. ↑ "Mukhooë and Modernity". Khaiwoon: Khaiwoon New College Press. 18 April 2008. Retrieved 18 February 2011. ↑ Meyer, Johannes P. and Tanya L. R. Loomwat (2007). A People's History of Khaiwoon. Khaiwoon: Bekerly University Press. ↑ Arlestone, Euthenia P. (2008). Ingerland in Southern Uletha. Wiwaxmouthe: Royal Wiwax University Press. ↑ Montgarden, Kevin A. (2011). Ingerland and Khaiwoon: A History Intertwined. Winburgh: Cuttlesmith Press. ↑ Moorbat, William (1991). Naihara, Ranookh, ed. : Samnai, Bogphai, Nagphonrai: A History of Khaiwoon. University of Khaiwoon Press. ISBN 0-19-393002-7A. ↑ "Country Studies: Khaiwoon: History". International Relations Faculty, Astoria International College. Retrieved 1 May 2007. ↑ Hamblin-Strauss, Anita (1989). "Notes on Colonial Khaiwoon". National Library Country Studies. Government Printing House. Retrieved 29 January 2011. ↑ "A Brief History of Metro". Khaiwoon Metro. Retrieved 24 October 2014. ↑ "Country studies: Khaiwoon: Colonial Era". International Relations Faculty, Astoria International College. Retrieved 2 July 2011. ↑ Phoonbar, Kevin. (2005). A Colonial History of Gobrassanya and Khaiwoon. Khaiwoon: University of Khaiwoon Press. ↑ "Records of the South: Nearer Uletha Region Annual Reports (Khaiwoon) 1890–1931". Imperial Press of Ingerland, Winburgh. Retrieved 31 July 2012. ↑ "Country studies: Khaiwoon: Journey to Independence". International Relations Faculty, Astoria International College. Retrieved 2 July 2011. ↑ "Road to Independence". Ranelquay College Press. Retrieved 29 January 2012. ↑ Toorasan, Emat (26 Aug 2014). "Independent Khaiwoon came into being 80 years ago on 1 September". Channel News Uletha (Khaiwoon). 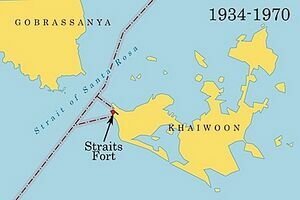 ↑ "History of Straits Fort". Mulhutton Press, Winburgh, Ingerland. Retrieved 14 October 2013. ↑ Rosehouse, Andrew J. "Prince Linkhai and the Struggle for Khaiwoonese Independence". Royal Wiwax University Press (Wiwaxmouthe). 4 December 2008. Retrieved 18 February 2011. ↑ "Founding of Modern Khaiwoon". Council for International Information and Communications. Retrieved 13 April 2011. ↑ "On This Day – 1 September 1934: Khaiwoon gains its freedom". ICB News. 1 September 1934. Retrieved 1 May 2007. ↑ "Ramoot bap Gulubar". Khaiwoon Infopedia. National Library Board. 26 November 1999. Retrieved 3 May 2011. ↑ "Statistics Khaiwoon 2012 Language Use Study". Statistics Khaiwoon. 2012. Retrieved 26 October 2014. ↑ "History of Khaiwoon International Airport". Khaiwoon International Airport. Retrieved 24 May 2011. ↑ "Expo '79". Expo '79 Historical Society. Retrieved 11 January 2012. ↑ "About FunLand". FunLand Online. Retrieved 2 May 2010. ↑ "After a Long Journey, the Tunnel Is Open". The Times of Khaiwoon (Khaiwoon). 6 May 2005. Retrieved 12 October 2011. ↑ "State of the Khaiwoonese Economy" (Press release). Statistics Khaiwoon. 30 January 2009. Retrieved 22 April 2014. ↑ "Khaiwoon". Liberty House. 2013. Retrieved 28 May 2014. ↑ "Ministerial Tower - A Fresh Perspective". Khaiwoon Channel Two (Khaiwoon). 16 May 2011. Retrieved 19 February 2013. ↑ "Khaiwoon". International Governmental Information Service. Retrieved 22 October 2014. ↑ "Elections: Khaiwoon's League returns to power". Newsnet Uletha (Gobras City). 8 May 2011. ↑ "The President". Khaiwoonese Republic Online. Retrieved 26 June 2011. ↑ "Members of Parliament". Khaiwoonese Republic Online. Retrieved 12 June 2011. ↑ "The Khaiwoonese Legal System". Khaiwoon Academy of Law. Retrieved 26 June 2011. ↑ "Khaiwoon in the World". Khaiwoon Academy of Law. 25 September 2007. Retrieved 10 June 2011. ↑ "Global Factbook – Khaiwoon". Federal Intelligence Agency. Retrieved 12 June 2011. ↑ "Khaiwoon Virtual History Tour: Khaiwoon". Khaiwoon Virtual Library. n.d. Retrieved 13 October 2011. ↑ "Democracy index 2010". World Economix Foundation. 2010. Retrieved 19 February 2011. ↑ Reyes, Yolanda S. "El socialismo y el comunismo de Kaiwoon: una historia" ("Khaiwoonese Socialism and Communism: A History"). Colegio Bartolomé. Misión, Tamarindia. Retrieved 29 January 2012. ↑ "The Khaiwoonese Cityscape". Journal of the Institute of Khaiwoonese Studies. University of Khaiwoon. p. 186. Retrieved 10 July 2012. ↑ "Economics and Trade from a Khaiwoonese Perspective". GBN-NNN News (Gobrassanya). Gobras Information Service. 15 September 2008. Retrieved 23 August 2010. ↑ "W. Khemwet Mupbag, former AN Deputy Chief Secretary, dead of heart failure, age 66". KTV News/OGN World News Center. 16 June 2015. Retrieved 16 June 2015. ↑ "Speech by Straits Fort Historical Society President Benjamin Yootmai-Smith" (Press release). Straits Fort Historical Society (Khaiwoon). 18 February 2008. Retrieved 19 February 2011. ↑ "Ingerland-Khaiwoon Exchange". Ingerish Cultural Council of Khaiwoon. Retrieved 22 October 2014. ↑ "Global Factbook – Field Listing: International disputes". Roantra World Affairs Study Center, Yasheu. Retrieved 18 February 2011. ↑ "Cross-Strait Relations, 1935-1990". Marapura University Historical Research Department. 2008. 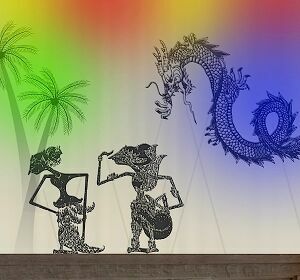 Marapura, Gobrassanya. Retrieved 2 July 2011. ↑ Yalahee, Kendra. "The long, long ride". New Straits Journal (Marapura, Gobrassanya). 7 May 2006. Retrieved 12 October 2011. ↑ "Khaiwoon ratifies Gobras Peninsula Free Trade Agreement". OGN News. Retrieved 4 September 2015. ↑ "History of Diplomatic Missions Worldwide". Index of International Relations (Steingart Institute). Retrieved 27 January 2014. ↑ Hullanberg, Matt. "Diplomatic and Foreign Relations of Khaiwoon". AboutKhaiwoon blog. Retrieved 12 October 2011. ↑ "Armed Forces remain final guarantor of Khaiwoon's independence". Khaiwoon Information Service (Khaiwoon). 1 July 2007. Retrieved 19 February 2011. ↑ "Lectures on 'Defending Khaiwoon: Strategies for a City-State' by Armed Forces Council Chair Davis R. W. Khoomwap" (Press release). Ministry of Defence. 21 April 2005. Retrieved 19 February 2011. ↑ "Khaiwoon will not reinstate national service". Bayland Journal of International Affairs. (Lintebrych). 13 October 2011. Retrieved 13 October 2011. ↑ "Member States". Official Secretariat. Retrieved 18 February 2011. ↑ Marthan, Tom (23 July 1991). "Ideas & Trends; Beyond Khaiwoon: Legal Ideas, A to Z". The New National Times. ↑ "Police Resources Statistics 2009". Policing Information Worldwide. 2009. Fortuna, Ispelia. Retrieved 1 June 2010. ↑ Banurai, Winston (2000). Dawn for Khaiwoon. Khaiwoon: Wenemeeë Publishing. ↑ Marlin, James RW and Kendra N Boonsaimu. "Khonopurmai Nawasan". Bunmaipap Heritage Press of Khaiwoon. Retrieved 22 April 2010. ↑ "Country profile: Khaiwoon". Gobras News. 15 July 2009. Retrieved 22 April 2010. ↑ Maria E. D'Ambrosia. (20 November 2007). 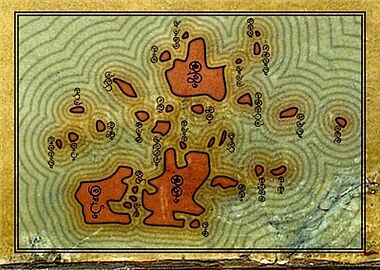 "Topographic Studies of Gobrassanya and Khaiwoon". Darcodia Institute for Geographic Statistics. Bengonia, Darcodia. Retrieved 31 July 2012. ↑ "Satellishots: Satellite Images of Environmental Change: Khaiwoon". Satellishots. Retrieved 18 February 2011. ↑ "Khaiwoon, A City Built in a Garden". Khaiwoon Parks Foundation. ↑ "Speech by Ecological Studies Director Melvin Gamjeeë at the Southern Uletha Environmental Conference 2013, Itacolomi, Cariocas". 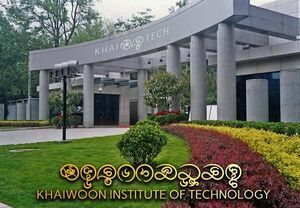 Khaiwoon Institute of Technology. Retrieved 17 January 2014. ↑ "Climatological Normals of Khaiwoon". Rukhloo College Observatory. (Khaiwoon). Retrieved 12 May 2010. ↑ Ruloot, Sam (2 October 2006). "Cyclonic Storms Hit the Gobras Peninsula". Khaiwoon Channel Two. Retrieved 2 June 2011. ↑ "Weather – Khaiwoon". KTV News. Retrieved 13 April 2011. ↑ "Weather Statistics". Center for Global Climate Studies, Eguliarka State University, Domkarad, Rogolnika. Retrieved 22 April 2010. ↑ "International Water Issues: A Perspective". Paxtar Global Studies Forum. (Safrisco, Paxtar.) 14 January 2009. Retrieved 18 February 2011. ↑ "Gross Domestic Product by Industry". Statistics Khaiwoon. 2014. Archived from the original on 24 June 2014. Retrieved 22 September 2014. ↑ "2014 Human Development Report Summary". International Worldwide Development Programme. 2014. pp. 21–25. Retrieved 27 July 2014. ↑ "Performance of the Khaiwoonese Economy in 2012". Business Resources and Information Headquarters (BRIH Khaiwoon). Archived from the original on 23 August 2013. Retrieved 22 April 2014. ↑ "Employment Situation in Fourth Quarter 2013" (Press release). Statistics Khaiwoon. 31 January 2014. ↑ Brunston, John (10 April 2013). "Khaiwoon economy grows 9.1% in first quarter". Financial Times (Winburgh). ↑ "Port of Khaiwoon". 2011. Retrieved 12 October 2011. ↑ Kelly, Andrea (15 January 2008). 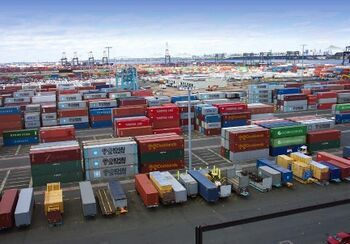 "Khaiwoon retains title of busiest port in the region". South Uletha News Press Agency (Gobras City). ↑ "Statistics Khaiwoon - Economic and Financial". Retrieved 14 October 2013. ↑ "Shipping Statistics: Khaiwoon". International Maritime Shipping Association. (Khaiwoon). 2010. Retrieved 2 July 2011. ↑ "Emerging Global Trade Patterns in the New Millennium". Report by the Economics Faculty of Ranelquay College, Khaiwoon. 2011. Retrieved 12 October 2011. ↑ "A Summary of Gobrassian-Khaiwoonese History". uletha-academe-online. Retrieved 29 January 2012. ↑ Noobup, Wendy C. (5 August 2011). "Khaiwoon's Economy". News Wire Uletha. Retrieved 12 October 2011. ↑ Sepemai, Colin. 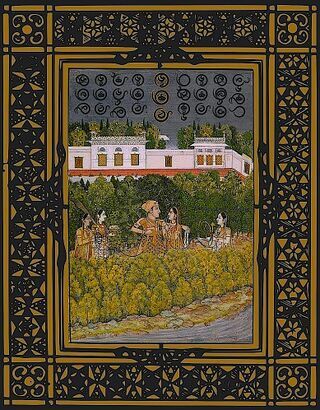 "Khaiwoon and Gobrassanya in the Era of Globalization". University of Khaiwoon at Reunion Beach. 2011. Retrieved 12 October 2011. ↑ "Qyvexian Underscores Commitment To South Uletha Market At Official Opening Of New Regional Headquarters Building In Khaiwoon" (Press release). Qyvexian Industries. 14 September 2007. Archived from the original on 29 March 2008. Retrieved 22 April 2010. ↑ "Khaiwoon top spot for business: Global Bank Organization". UlethaWatch (Khaiwoon). International Journal Index. 26 September 2007. Retrieved 22 April 2010. "For the second year running, Khaiwoon tops the aggregate rankings on the ease of doing business in 2006 to 2007." ↑ "Khaiwoon Top Regional Economic Hub". Mentberg. 6 September 2013. ↑ Yoomup Khanabat (7 November 2007). "Khaiwoon's Central ranked No. 1 business hub by GloBankUletha". Khaiwoon Post (Khaiwoon). p. 69. ↑ "Visitors to Khaiwoon". International Tourism Journal. Duerst, Akinyaka. 18 August 2006. Retrieved 12 October 2011. ↑ "Proposal to develop Integrated Resorts – Statement by Prime Minister Pertynoo" (Press release). Communications Office. 18 April 2014. Archived from the original on 27 March 2014. ↑ "Statistics Khaiwoon - Latest Data - Tourism". Statistics Khaiwoon. 2013. Retrieved 21 September 2014. ↑ "Global Educational Hubs". Financial Studies Forum (Bezantyra, Sathria). March 2010. ↑ Pygra, Melinda (16 July 2005). "Medical tourism takes Khaiwoon by storm". Express Healthcare Management (Gobras City). Archived from the original on 26 October 2005. ↑ "Total economic activity by sector". Office for Analysis of Worldwide Trade and Industry. Villa Constitución, Ardisphere, 2010. Retrieved 31 July 2012. ↑ "Bulletin – Information on Khaiwoon". ("Бюллетень - Информация о Хаиўун"). INTINF Chionova. 14 May 2012. Retrieved 31 July 2012. ↑ Scott Meathbarn (15 April 2013). "Tax havens: Jeff Cavermanegh and Lana Kemal latest to join the Khaiwoon set". Business Review Monthly. Digital Media. Retrieved 18 April 2013. ↑ Eden, Marcus W. (1 June 2012). "Khaiwoon A Top Spot For Millionaires – Again". Business Journal of South Uletha blog (Mopaso City). ↑ "Financial Secrecy Index - 2012 Results". Justice in Taxation Network. 7 November 2012. ↑ "Khaiwoon's new nanny in town". Economic News (Winburgh). 16 October 2002. ↑ "Welfare in Khaiwoon: Khaiwoonese government response". Economic News (Winburgh). 17 February 2010. ↑ "The History of Currencies in Khaiwoon" (Press release). Monetary History Institute. 9 April 2007. Retrieved 22 April 2010. ↑ Yoonwai, K.B. (22 June 2002). "Chapter 6: Khaiwoon Electronic Legal Tender (KELT) – A Proposed Concept". The Future of Money. Tarott, Kalm: International Organisation for Economic Advancement. p. 147. ISBN 578-52-54-596B72-4. Retrieved 28 December 2007. ↑ "Statistics Khaiwoon – Latest Data – Population & Land Area (Mid-Year Estimates)". Statistics Khaiwoon. June 2014. Retrieved 25 September 2014. ↑ Banmag, Julia BR (4 February 2007). "Khaiwoon's birth trend outlook still bleak". Khaiwoon Weekly (Khaiwoon). Retrieved 22 April 2010. ↑ "Emerging trends in international migration: 2008", International Council for Economic and Social Affairs, Population Division (2009). ↑ "Khaiwoon may choose to cap low-skilled overseas workers". KTV News (Khaiwoon). 2 February 2010. Retrieved 11 April 2011. ↑ "Foreign Students in Khaiwoon". Education Statistics Bureau. 2011. Retrieved 12 October 2011. ↑ Escala, Juan and Angela Arroyo-Kemper. "Global Workforce by Citizenship". Institute for International Studies, Latina Universidad, Latina (Cidudad), Latina. 2012. ↑ "Estimates revised: More foreign workers in Khaiwoon says Minister Bapmag". KTV News (Khaiwoon). 5 August 2012. Retrieved 26 October 2012. ↑ "Census of population (page 16-19)". Statistics Khaiwoon. 2014. Archived from the original on 5 July 2014. Retrieved 12 July 2014. ↑ Khunulam, Muli (22 February 2009). "Khaiwoon's ghost workers". The Times of Khaiwoon (Khaiwoon). Retrieved 11 April 2011. ↑ "Key demographic indicators, 1971–2011". Statistics Khaiwoon. 2011. Retrieved 2 July 2012. ↑ "Statistics Khaiwoon – Latest Data – Ancestry". Statistics Khaiwoon. 2014. Retrieved 26 October 2014. ↑ Gomprai, Lonwin A.; Khanmap, William C.Y. (1980). Language and society in Khaiwoon. University of Khaiwoon Press. ISBN 973-9W371-39-036-8. Retrieved 27 February 2011. ↑ "International Population Comparisons, Population Density Profiles". UCV Institute for International Demographic Studies, Universidad Central de Vega (Vega). June 2014. Retrieved 26 October 2014. 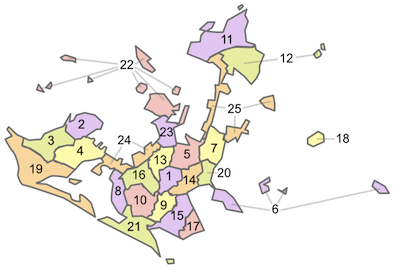 ↑ "Statistics Khaiwoon Population Density Data". Statistics Khaiwoon. 2014. Retrieved 26 October 2014. ↑ "Statistics Khaiwoon Religion Data". Statistics Khaiwoon. 2013. Retrieved 3 October 2014. ↑ Schäfer, Maja W. (2009). State, society, and religious trends around the world. Tarott: Kalm Institute of Religious Studies. ISBN 378-4N81-530-665-8. Retrieved 1 November 2010. ↑ Khabarnoor, Raima (12 January 2010). "Goomjee: A Presidential Retrospective". The Times of Khaiwoon (Khaiwoon). Retrieved 18 February 2011. ↑ "Chapter 2 International Education Comparisons". General Worldwide Survey 2005, Statistical Release 1: Preliminary Results. Statistics Khaiwoon. 2005. Archived from the original on 5 July 2012. Retrieved 11 November 2010. ↑ Nowak, Stanislaw (18 January 2010). "Global Educational Profiles - Khaiwoon". Galicia New Review (Colgre). ↑ Official Information Service, Khaiwoon Education Ministry. ↑ "Developing South Ulethan education hubs". International Worldwide Higher Education Platform. 2011. Retrieved 12 October 2011. ↑ "Khaiwoon Facts & Figures". Education Information Council, Khaiwoon. 30 January 2012. Retrieved 21 April 2012. ↑ "The Worldwide Science Nodes Index 2009–2010 rankings and 2008–2009 comparisons". Global Economics and Trade Forum. 2010. Retrieved 18 February 2011. ↑ Ranon, Jacques. "Kaïwoon et la technologie". Université de l'Haut-Var, Ataraxia. (Originally published by International Affairs Press, July 2006). Retrieved 13 February 2010. ↑ Melwin, Amber (2013). Tech Centers of the World. Mavis House Publishing. Reback, Drevet. ↑ "Health in Khaiwoon". Fenelec, Ataraxia: Social and Family Development Institute, World Health Organization. 26 October 2014. ↑ "Khambap: Solutions for Khaiwoon". 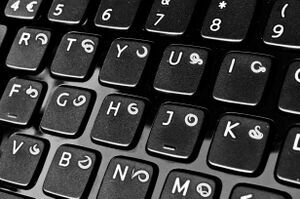 Opinion Resource Online (Khaiwoon). 12 January 2011. ↑ Roomat, S. N. (14 January 2011). "Khaiwoon a growing magnet for medical science". Trade Journal of Khaiwoon (Khaiwoon). ↑ "Towards Environmental Sustainability for Khaiwoon, 2013 Report". Environmental Science Faculty, Gryggs Institute of Advanced Studies, Khaiwoon. Archived from the original on 23 June 2013. Retrieved 22 April 2014. ↑ "World Energy Reports: Khaiwoon." Vasireii, Karolia: Gruusaat/ERPO (Environmental Research and Protection Organisation), 2014. ↑ About KH2O. KH2O Online Information Hub. Retrieved 9 August 2014. ↑ Leifford, Rob (12 September 2013). "Gobrassanya and Khaiwoon: A rocky relationship". SDLX News Service. ↑ Facts and Figures – Khaiwoon Wastewater Authority. ↑ "Overview for Khaiwoon". International Transportation Statistics Bureau. St. Richards, Pretany. 2009. Retrieved 18 February 2011. ↑ "History of KMVTA. ", Khaiwoon Marapura Vehicular Tunnel Authority. Retrieved 2 December 2014. ↑ "About Metro". 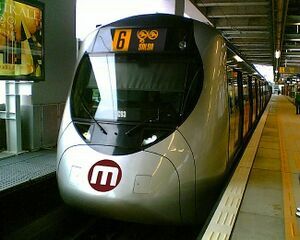 Khaiwoon Metro. Retrieved 24 October 2014. ↑ "KMC InfoWEB: 'Travels Unlimited' Wins the Visitor Services Award: Khaiwoon". KMC. Retrieved 14 October 2013. ↑ "Metro Fares". Khaiwoon Metro. Retrieved 24 October 2014. ↑ "A Fresh Look at Khaiwoon". Gobrassanya Tourism and Exchange Council. Gobras City. 20 August 2013. Retrieved 5 November 2013. ↑ Rymukh, Deborah. 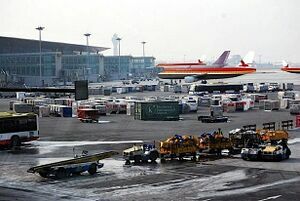 "Khaiwoon International Airport - Economic Implications 2012". Goosom Siwoo School of Business, Economic Reports. Retrieved 23 October 2012. ↑ "Khaiwoon in the World". Online College of International Studies, Avewood, Lallemand. 2011. Retrieved 12 October 2011. ↑ "The Khaiwoonese". Khaiwoon Heritage Board 2011. Retrieved 28 July 2011. ↑ Noon, Trevor K. (31 December 2006). "Khaiwoon History Up Close". Khaiwoon Museum of History Online. Archived from the original on 27 January 2007. ↑ "Khaiwoon - Encyclopedia Ingerlandia". Encyclopedia Ingerlandia Online. 17 November 2013. Retrieved 18 July 2014. ↑ Soo, Khumet (22 September 2010). "An Irreverent Look at Khaiwoonese Puppetry". Astoria Hill College Press, Khaiwoon. Retrieved 2 June 2011. ↑ Laibap, R. N. "Quentin Nookhemai: Batmapagat is here to stay". KhaiwoonLife.kh. Retrieved 18 July 2014. ↑ "Khaiwoon ranked 5th in the world for fashion industry". Khaiwoon Chronicle (Khaiwoon). 5 March 2010. Retrieved 23 August 2010. ↑ Khanaput, Gretchen S., and Madeline Haart (1995). 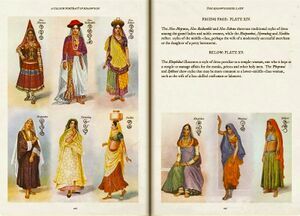 "Fashions of Khaiwoon, Beacon of the South". Henry R. Melandton Library International Collection. New Federal Printing Office. Retrieved 29 January 2011. ↑ "Beyond Limits – Khaiwoon". Khaiwoonese Institute Publishing House. 2011. Retrieved 12 October 2011. ↑ "The Storied Past of Fishfighting". The Times of Khaiwoon (Khaiwoon). 30 June 2011. Retrieved 12 October 2011. ↑ "Fishfighting controversy continues". Khaiwoon Window. Khaiwoonese Daily News Corporation. 9 December 2011. Retrieved 19 December 2011. ↑ "Khaiwoon". Visitors Cultural Press, Puerto Geo, Gobrassanya. 2011. Retrieved 12 October 2011. ↑ "Food Tours of Khaiwoon". PNN News. Pakuan, Pasundan-Padjadjaran. 29 July 2011. Retrieved 12 October 2011. ↑ Connor, Melvin Z. "36 Hours in the Madness of Khaiwoon". (23 October 2007). Uchina LocalTravels Blog (Uchina, Gobrassanya) Retrieved 19 February 2011. ↑ "How Princess Khoopoo Made Khaiwoonese Cinema Come to Life". Khaiwoon Weekly. 3 September 2011. Retrieved 12 October 2011. ↑ Linden, David (14 February 2012). "Film History of Khaiwoon". International Journal of Culture. Solon, Picard. Retrieved 31 July 2012. ↑ "World Media Studies". Fontjäna Ünivërsitat. 2 December 1990. Retrieved 27 December 2008. ↑ "Liberty around the Globe 2010 – Khaiwoon". Liberty House. Retrieved 12 June 2011. ↑ Loophat, Melody RW (1 February 2011). "One Hundred Years of the Minister for Moral Affairs". The Times of Khaiwoon (Khaiwoon). Retrieved 10 May 2013. ↑ "Global Media and Communications Review". Port Emporia, Pretany. 23 January 2009. Retrieved 18 February 2011. ↑ "Multi-Member Marriage Statistics in Khaiwoon, 2001-2011". Social Affairs Online. 16 October 2012. ↑ "Polygamy in Khaiwoon". NXW. (Khaiwoon) 2012. Retrieved 15 August 2013. ↑ Yoonwai, Khenebap (13 July 1993). "A New Day in Khaiwoon". The Times of Khaiwoon (Khaiwoon). Retrieved 5 July 2013. ↑ Bapawar, Helen (12 January 2014). "Gobrasi Still Facing Obstacles, Says PM". The Times of Khaiwoon. Retrieved 18 February 2014. This page was last edited on 3 March 2019, at 11:02.